China has most tungsten in the world, but notable deposits can also be found throughout Europe. China’s tungsten reserves are the highest in the world, and the country is consistently the world’s top producer of the metal by a long shot. In 2016, it put out 71,000 MT of tungsten, far ahead of second-place Vietnam. Even so, the Asian nation is by no means the only place that produces and holds tungsten. Tungsten is produced throughout Europe, and many companies are now exploring the continent in hopes of unearthing more sources of the metal. In particular, companies are mining and exploring for tungsten in Spain, Portugal and the UK, all of which were top tungsten producers last year. Here’s a brief overview of the tungsten landscape in those regions, plus a look at some of the tungsten companies operating there. Spain’s tungsten reserves stand at 32,000 MT, and last year it was the sixth-largest tungsten producer in the world with output of 800 MT. That’s compared to 835 MT in 2015. Most tungsten mining in Spain takes place on the western side of the country. Tungsten producers in Spain currently include Almonty Industries (TSXV:AII), which prides itself on acquiring distressed and underperforming tungsten assets and applying its know-how to make them better. Its main asset in Spain is the open-pit Los Santos tungsten mine, which opened in 2008 and was commissioned in 2010 by its former owner. Almonty also holds the Valtreixal tungsten project in Spain, which is currently in the permitting stage. W Resources (LSE:WRES), which operates the La Parrilla mine, is another company producing tungsten in Spain. Tungsten concentrate production began at La Parrilla in September 2016, and the company said at the time that output was expected to reach a run rate of 400 tonnes per year in the second quarter of 2017. Ormonde Mining (LSE:ORM) — Ormonde Mining and its partner Oaktree Capital Management are currently developing the Barruecopardo tungsten project in Spain. Ormonde says that once the project is in production, it will deliver about 12 percent of current non-Chinese tungsten concentrate supply. In 2015, Almonty attempted to acquire Ormonde. Plymouth Minerals (ASX:PLH) — Plymouth Minerals holds the Morille tin-tungsten project in Spain together with partner Aurum Mining (LSE:SWG). The company describes the project as “grossly underexplored,” and while it has done some first-pass exploration there it is currently more focused on its potash and lithium assets. Metal Tiger (LSE:MTR) — Metal Tiger and Mineral Exploration Network (Finland) together own the Logrosan tungsten project in west-central Spain. While they have completed some work there, like Plymouth they are currently focused on other non-tungsten assets. Portugal’s tungsten reserves are significantly lower than Spain’s at 2,700 MT, and the country also produced less tungsten than Spain in 2016. It put out 570 MT of the metal, up from 474 MT the year before. In addition to being a tungsten producer in Spain, Almonty is also a key player in Portugal’s tungsten space. The company is currently producing the metal at its Panasqueira tin-tungsten mine, which it acquired from Sojitz in January 2016. Panasqueira is Portugal’s largest tungsten mine, and a March 2017 report shows that its reserves currently stand at 1,951,000 tonnes grading 0.2 percent WO3, while inferred resources sit at 10,322,000 tonnes grading 0.24 percent WO3. Like Almonty, W Resources is also involved in the Portugal tungsten space via its Tarouca project, although it is not producing there. Other companies exploring for tungsten in Portugal include Blackheath Resources (TSXV:BHR), whose flagship asset is the past-producing Covas tungsten mine. It produced 366,000 tonnes grading 0.61 percent WO3 between 1951 and 1974, and Blackheath released a maiden resource estimate for the mine in March 2015. The mine is part of a joint venture with Avrupa Minerals (TSXV:AVU). Blackheath also holds options to acquire 100-percent interests in three other past-producing tungsten mines in Portugal: Borralha, Bejanca and Vale das Gatas. Colt Resources (TSXV:GTP) is another exploration company focused on tungsten Portugal. It holds the Tabuaco project, which it completed a preliminary economic assessment for in 2013. The company also has the Santo Antonio experimental mining licence in Northeastern Portugal; it is a joint venture between Colt and Brazil’s Contecnica. Finally, BMR Group (LSE:BMR) has an option agreement to acquire an 80-percent interest in the Ester exploration concession in Northern Portugal. Ester is prospective for tungsten, tin and potentially gold and silver, and the company completed its first exploration campaign at the property in February 2017. BMR Group’s main focus is recovering lead and zinc from the tailings of a mine in Zambia. The UK produced 700 MT of tungsten last year, which is less than Spain but more than Portugal. However, of those three places it is the UK that holds the highest reserves of tungsten — they currently stand at 51,000 MT. Most tungsten in the UK can be found in Southwest England, primarily in Devon and Cornwall; both areas have a long history of mining. Wolf Minerals (ASX:WLF) is a major player in the UK tungsten space, and it operates the Drakelands mine at its Hemerdon tungsten-tin project. The mine is located in Devon, and according to the company is one of only two mines outside of China that’s able to produce over 3,000 tonnes per year of tungsten concentrate. When Drakelands began producing in 2015 it became Great Britain’s first new metals mine in 45 years. Since then Drakelands has been hailed as a refreshing alternative to Chinese tungsten suppliers. However, its path has not been without obstacles. In the fall of 2016, issues at Drakelands forced the company to secure a debt restructuring. “Wolf was forced into the restructuring when it became clear that it was likely to default on the minimum forward cash flow requirements of its debt facilities because of the shortcomings at Hemerdon and commodity price weakness,” The Australian said last October. Shortcomings at the mine include an underperforming processing plant; in its most recent quarterly report, Wolf says an improvement plan is now in the works. New Age Exploration’s (ASX:NAE) Redmoor tungsten-tin project is located 40 kilometers from Drakelands, and the company began drilling at the site this month with its partner, Strategic Minerals (LSE:SML). In addition to Redmoor, New Age holds the Lochinvar coking coal project. Did we miss a tungsten company that’s operating in Spain, Portugal or the UK? Let us know in the comments! And don’t forget to follow us @INN_Resource for real-time news updates! This is an updated version of an article originally published by the Investing News Network on August 17, 2015. 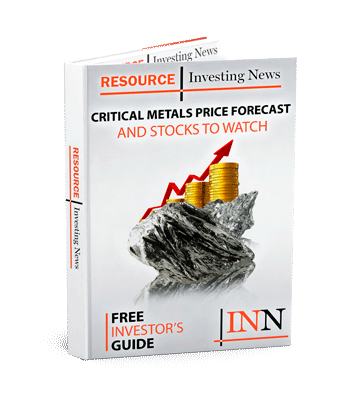 Editorial Disclosure: Avrupa Minerals is a client of the Investing News Network. This article is not paid-for content. Get the latest information about companies associated with Tungsten Investing Delivered directly to your inbox. You might want to take a look at the Tungsten RHA mine in Zimbabwe, owned and run by Premier African Minerals (Lon.PREM – Aim). A very interesting company that is on the cusp of producing APT from historic lodes with the help of an XRT sorter and from underground. The company is also close to revealing it’s substantial maiden Lithium and Tantalum resource at their Zulu mine. Thanks for commenting! We have added BMR Group to the article.